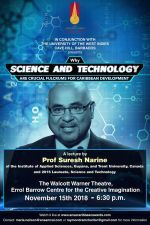 The annual Anthony N. Sabga Caribbean Awards for Excellence Lecture is presented in conjunction with the University of the West Indies Cave Hill Campus. 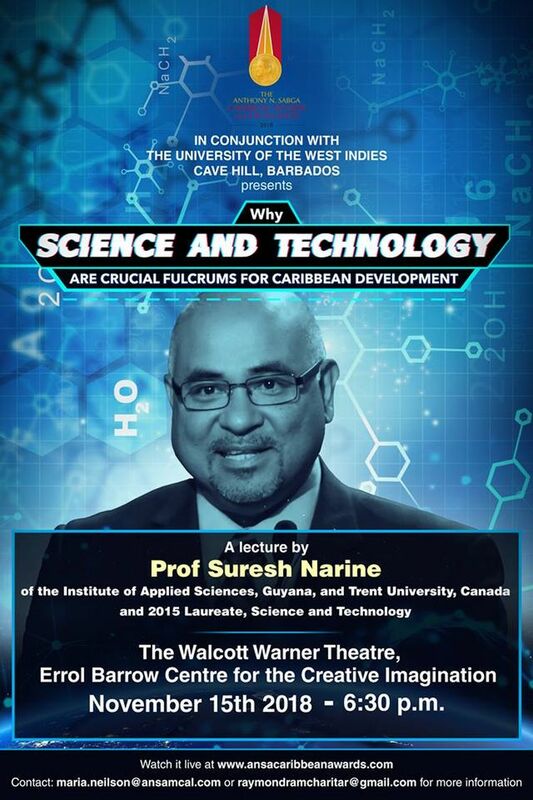 Title: Why Science and Technology are Crucial Fulcrums for Caribbean Development. The Anthony N. Sabga Caribbean Awards for Excellence were initiated by Dr Anthony N. Sabga, one of the Caribbean's most celebrated entrepreneurs and founder and Chairman Emeritus of the ANSA McAL Group of Companies in the Republic of Trinidad and Tobago. The awards are meant to recognise and reward excellence in the Caribbean region, and create an awareness of the significant work done in the region that benefits Caribbean people, and all people worldwide. The Sabga Awards programme is the only institution of its kind in the Caribbean. Launched in 2005, prizes are awarded in the spheres of Arts & Letters, Science & Technology, and Public & Civic Contributions. Since 2006, three sets of laureates have been honoured at ceremonies in Trinidad.